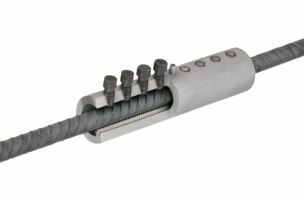 The MBT reinforcement coupler is a mechanical socket connection for concrete reinforcement steel B500B with a diameter from 10 to 40 mm and joins two reinforcement bars through a clamping action. The tensile and compression forces are transferred. 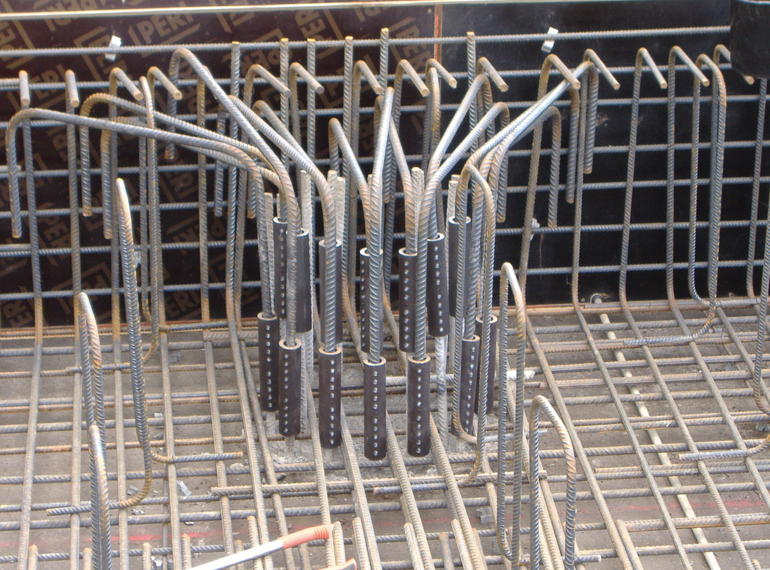 The rods do not need to be pre-treated: no threading, no compression, no welding. The MBT reinforcement coupler is particularly suitable for the replacement of damaged reinforcement, the connection of old and new constructions, the connection of pre-cast concrete units and of high pre-cast chimneys. 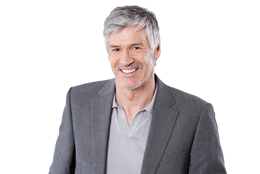 In the case of renovations, it is possible to simply replace the reinforcement in need of restoration. The connection of the reinforcement bars fit in just as easily between an old and a new building. The reducing socket is used to connect bar ends with different diameters. 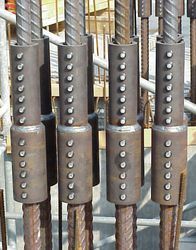 End anchors are especially suitable for the following areas of application: End anchoring of reinforcing steel, end anchoring in pile cages, loose rock anchors, pressure distribution plates and welding sockets.